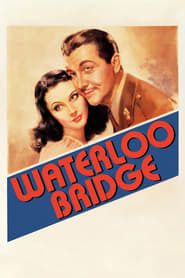 On the eve of World War II, a British officer revisits Waterloo Bridge and recalls the young man he was at the beginning of World War I and the young ballerina he met just before he left for the front. Myra stayed with him past curfew and is thrown out of the corps de ballet. She survives on the streets of London, falling even lower after she hears her true love has been killed in action. But he wasn't killed. Those terrible years were nothing more than a bad dream is Myra's hope after Roy finds her and takes her to his family's country estate.